If you are a flyer or would like to be one, than this post is for you! 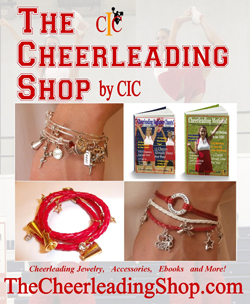 We have an entire section on CIC that has a variety of tips and techniques for you to be the best Flyer you can be. 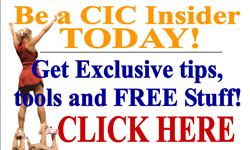 For TONS of tips, click in CIC FLYER TIPS. Flyer Positions: There are a variety of positions for a Flyer. Please CLICK HERE for a list of them. Be Confident: Confidence shows and lack of it can get you hurt. Look Up at the crowd - do not look down. Sell the stunt with your facial expressions and sharp motions. Always use proper climbing techniques (some listed below). PRACTICE in a mirror at home on the ground to make sure your posture is correct. NO LAUGHING while in your stunt. NEVER try any stunt that you are not ready for. For example, if you just mastered the Double Thigh Stand, you next stunt should not be the Ground Up Full.